The view from the Ambassador Apartments of Provectus Care’s proposed aged care facility on the corner of Hopetoun Circuit and Grey Street, Deakin. 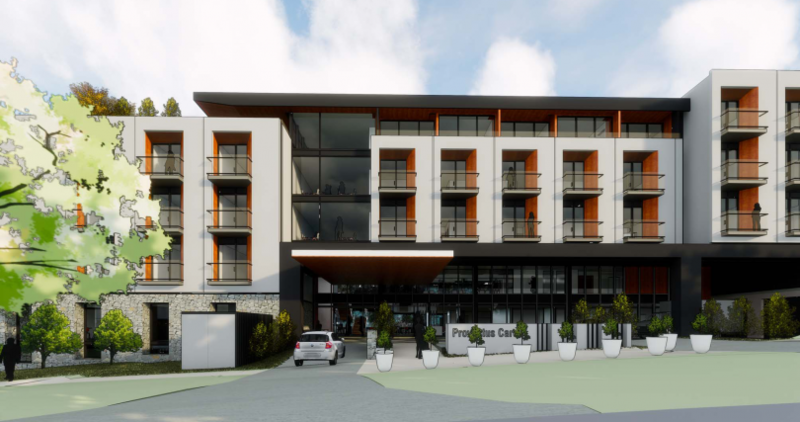 A planned four to five-storey, 102-bed aged care facility in Deakin will only add to the traffic chaos that envelops the area near the Canberra Girls Grammar School, according to the Deakin Residents Association. The Association is preparing its submission on the development application from Provectus Care for the planned facility on the 2973 square-metre site of the Margaret Dimoff Art Gallery, formerly known as the Solander Gallery, on the corner of Hopetoun circuit and Grey Street. ‘Purdon Planning’, which conducted consultations with the community, says the proponent seeks to build and operate a new, high-quality aged care accommodation facility comprising 90 residential care accommodation beds, 12 assisted living unit suites and a 40 place seniors’ day-care respite facility. “The facility will provide high-quality care, and is intended to set a new benchmark for residential aged care for Canberra,” Purdon says. The proposed development is for a four and five-storey building including a single level of basement parking and off-site works to improve pedestrian mobility and safety. It will also have residential amenities including an aqua therapy pool. There will be a dedicated dementia wing, 12 assisted living rooms, and a 40-place respite care centre for seniors who live primarily with a carer or family member. There are no independent living units proposed. Vice-President of the Deakin Residents Association, John Bell said the facility would exacerbate traffic and parking issues in the area, and was inappropriate for the site. Mr Bell said Grey Street was chaotic twice a day during school terms when Girls Grammar parents and buses are dropping off children in the morning and picking them up in the afternoon. He said that in nearby Ferguson Crescent, residents at the lower end had foregone street parking at those times just so the buses could get through. “There are parents parking on nature strips and driveways. It’s just extraordinary,” he said. The proposed aged care facility’s Grey Street entrance. Purdon argues that impacts during key school peak periods will be minimised by controlling shift changeovers to be outside of school pick-up and drop-off times, saying its traffic assessment found that there would not be any adverse impact on Grey Street or Hopetoun Circuit. But Mr Bell said the proposed 7.30 shift changeover was not set in stone and that the early learning centre linked to Girls Grammar received families from 7.45am. He said a tiny drop-off space outside the facility and insufficient parking would also contribute to congestion in and around the Deakin shops, which is already struggling with people using it for all-day parking despite two-hour limits. While the proponent had provided the required number of parking spaces, Mr Bell said to achieve this it planned to widen the bottom end of Grey Street to attain eight spaces. “This is just using public land to meet their parking requirements and the overflow is supposed to go behind the Deakin shops,” he said. He said it was naive to believe this would happen. A total of 51 parking spaces are provided in the basement and at ground level for staff and visitors. Provectus says it also will provide a bus for some respite day care users to alleviate parking demand. It says a pedestrian crossing and safety islands will also be needed in Hopetoun Circuit to facilitate pedestrian access to the Deakin shops. 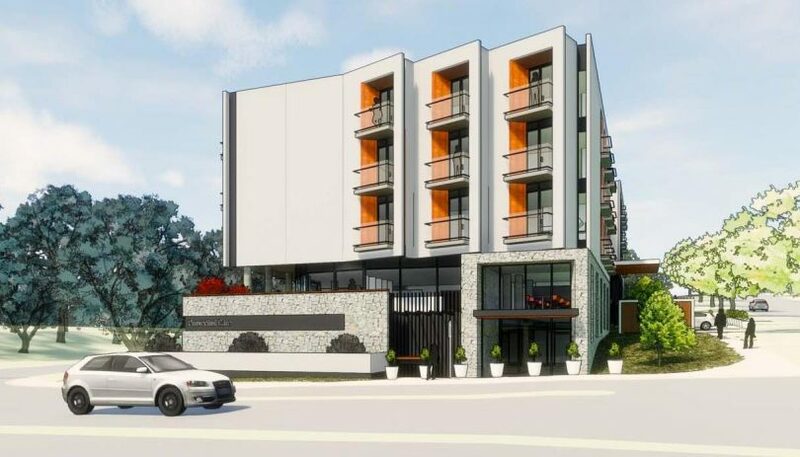 Mr Bell said the size of the development would see it completely overlook all the nearby residences in Deakin and the balconies facing Adelaide Avenue would be virtually unusable because of noise and air pollution. The Association is considering engaging professional advice but acknowledges that the commercial nature of the application limits its options. The closing date for submissions and comments is 6 December. Do you think the proposed aged-care facility will create congestion on Deakin roads? Let us know your thoughts by commenting below. I don’t care so much about traffic inconvenience, as the lives of the residents. Looks like a depressing prospect. Where are the gardens for these old folk to enjoy? This is clearly nothing more than a failed hotel/serviced apartments building whose owners are looking to capitalise on the very dodgy aged care sector. A dementia unit needs to have excellent outdoor facilities and be well and expertly thought through. And where is the community consulataion survey results that Purdon sought?